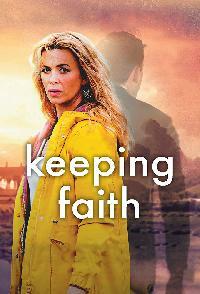 Keeping Faith Faith and her family live in an unassuming and quiet little town in Carmarthenshire. But its not long before the characters realize the beautiful area, once a peaceful haven, is actually a melting pot of dark secrets.Faith, a small-town Welsh lawyer, is forced to cut short her extended maternity leave when her husband and business partner, Evan, disappears suddenly one Wednesday morning. As she battles to discover the truth behind his disappearance, a host of secrets come to light and she begins to question whether she really knows her husband at all. Kevin Can Wait Kevin, a newly retired police officer, is looking forward to quality time with his family and his fellow retired cops. 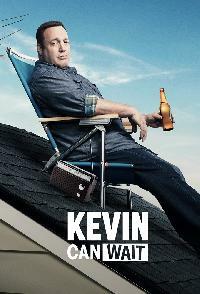 When his oldest daughter announces shes dropping out of college to support her fianc, Kevin knows his only choice is to move them both into his home to keep her in school. The fun has to waithis family is his new beat. 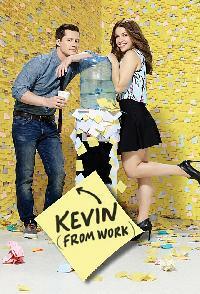 Kevin From Work A workplace comedy centered on Kevin, a young man who declares his unrequited love for his coworker Audrey in a letter, believing hell never see her again after he accepts a job overseas. But when the opportunity falls through and Kevin is forced to return to his old job, how will he and Audrey continue to work together now that his feelings are no longer secret? 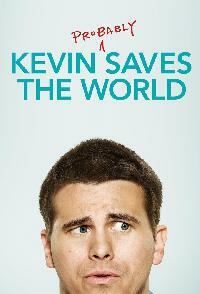 Kevin Probably Saves The World Kevin, a down-on-his-luck man who is tasked by God with a mission to save the world. Key And Peele Keegan-Michael Key and Jordan Peele present "Key & Peele," an original sketch-comedy show coming to Comedy Central in 2012. 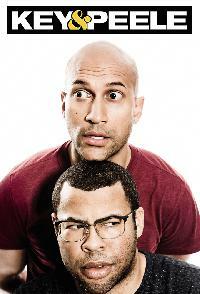 In this new series these fresh, relevant comedic actor-writers, used to being on the outside looking in, will examine life in a provocative and irreverent way, through a combination of filmed sketches and live stage segments.Whether its satirizing the President, spoofing Nazis, or ordering up some soul food, "Key & Peele" will showcase their chemistry, camaraderie and unique point of view, born from their shared background and experiences growing up biracial in a not quite post-racial world. 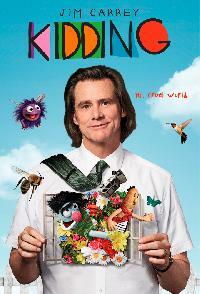 Kidding Jeff, also known as Mr. Pickles, is an icon of childrens television. But when his real life begins to falter, the story he represents to the public can become a nightmare. The result? A good man in a cruel world that everything that keeps around is crumbling. Killer Women Of all the notorious lawmen who ever patrolled the violent Texas frontier, none are more storied than the Texas Rangers. And none could be more macho. While the once all-male bastion now allows "lady rangers", no one can say they are welcomed. Being the only female ranger in this elite squad isnt going to stop Molly Parker, shes ballsy and badass enough to get the job done despite a good-ole network filled with harassment and discrimination. In another profession, being a stunning former beauty queen might open doors but for Molly... that distinction only makes it harder. Molly is committed to finding the truth and seeing justice served; a trait no doubt inherited from her father, a former Texas sheriff. Shes even willing to break some rules to get it done. 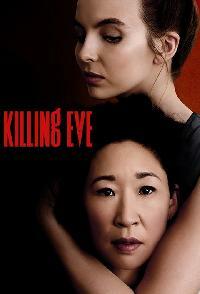 Killing Eve When a top international assassin murders an influential politician, she comes up against an equally relentless MI5 intelligence analyst who is determined to bring her to justice. Based on the novellas Codename Villanelle and Villanelle: Hollowpoint by Luke Jennings. 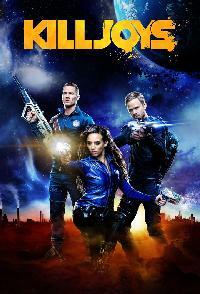 Killjoys Killjoys follows a fun-loving, hard living trio of interplanetary bounty hunters sworn to remain impartial as they chase deadly warrants throughout the Quad, a distant system on the brink of a bloody, multiplanetary class war. 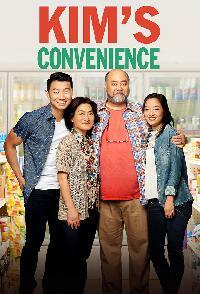 Kims Convenience The funny, heartfelt story of The Kims, a Korean-Canadian family, running a convenience store in downtown Toronto. Mr. and Mrs. Kim (Appa and Umma) immigrated to Toronto in the 80s to set up shop near Regent Park and had two kids, Jung and Janet who are now young adults. However, when Jung was 16, he and Appa had a major falling out involving a physical fight, stolen money and Jung leaving home. Father and son have been estranged since. King And Maxwell Sean King (Tenney) and Michelle Maxwell (Romijn) arent your typical private investigators. Both are former Secret Service agents, and their unique skills not to mention their razor-sharp chemistry give them a leg up on conventional law enforcement. Maxwell is a former elite athlete who uses her brains, beauty and Beltway connections to solve cases. Kings career in the Secret Service ended when the presidential candidate he was assigned to protect was assassinated, sending him on a downward spiral. Today, King has added a law degree to his arsenal of skills, allowing him to navigate the system in ways a typical private investigator never could. Along the way, King and Maxwell clash over everything, from her garbage-strewn car to his love of wine over beer. 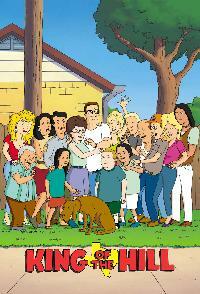 King Of The Hill Set in Texas, this animated series follows the life of propane salesman Hank Hill, who lives with his substitute teacher wife Peggy, wannabe comedian son Bobby, and deadbeat niece Luanne. Hank has strikingly stereotypical views about God and country, and is refreshing honest about the way he sees the world. 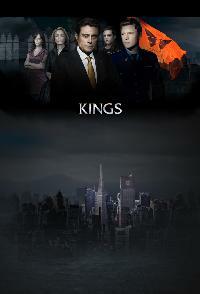 Kings From executive producer Michael Green (NBCs "Heroes") comes a riveting new drama about a modern day monarchy. "Kings" is a contemporary re-telling of the timeless tale of David and Goliath. This series is an epic story of greed and power, war and romance, forbidden loves and secret alliances -- and a young hero who rises to power in a modern-day kingdom.King Silas Benjamin (Ian McShane, "Deadwood") is the well-entrenched king of Gilboa, whose flag bears a divine butterfly symbol. Gilboa has its capital in Shiloh, a clean new city that is unspoiled by time or litter. Silas must deal with the tensions rising between Gilboa and neighboring nation Gath. When several prisoners of war are taken, a young soldier, David Shepherd (Chris Egan, "Eragon"), defies orders and crosses enemy lines to save them. Unknown to David, the soldier he saves is Jack Benjamin (Sebastian Stan, "The Covenant"), the son of the king. From that day forth, Davids life will never be the same.Susanna Thompson ("Once & Again") plays Queen Rose Benjamin, a distant, yet supportive wife. Allison Miller ("Lucys Piano") stars as King Silas beautiful, intelligent and outspoken daughter, Michelle. General Linus Abner (Wes Studi, "Comanche Moon," "Bury My Heart at Wounded Knee"), Reverend Ephram Samuels (Eamonn Walker, "Oz") and William Cross, Silas brother-in-law (Dylan Baker, "Spiderman 2"), try to influence King Silas.From Universal Media Studios, "Kings" is executive-produced by Green, Erwin Stoff ("I Am Legend") and Francis Lawrence ("I Am Legend"), who also directed the pilot. 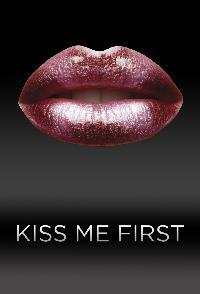 Kiss Me First Leila is a lonely 17 year old girl addicted to a fictional online gaming site called Agora. While playing on the platform, Leila meets Tess, a cool and confident party girl who harbours a dark secret. In the real world, the two girls become friends, but after Tess disappears Leila decides to assume her friends identity and in doing so is quickly drawn into unravelling the mystery behind her disappearance. Knight Rider Michael Long, an undercover police officer, is shot while investigating a case and left for dead by his assailants. He is rescued by Wilton Knight, a wealthy, dying millionaire and inventor who arranges life-saving surgery, including a new face and a new identity--that of Michael Knight. 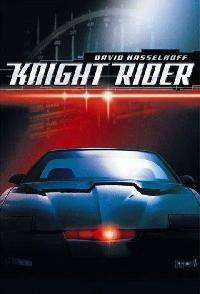 Michael is then given a special computerized and indestructible car called the Knight Industries Two Thousand (nicknamed KITT), and a mission: apprehend criminals who are beyond the reach of the law. The series depicts Michaels exploits as he and KITT battle the forces of evil on behalf of the Foundation for Law and Government. 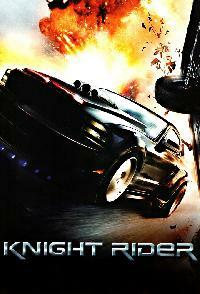 Knight Rider (2008) 24 year-old Stanford University Ph.D. candidate Sarah Graiman is set to follow in her genius father Charles footsteps. Her life takes a dramatic turn when men try to abduct her. She receives a mysterious phone call from KITT, a car of her fathers creation, letting her know that her father is in danger. Sarah and KITT set off to recruit her childhood friend Mike Tracer into helping them figure out who has her father and is trying to steal KITT. Mike, having just returned from serving in Iraq, is jaded and reluctant to help, but eventually agrees. 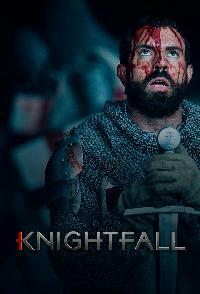 Knightfall The Knights Templar were the most powerful, wealthy and mysterious military order of the Middle Ages, entrusted with protecting Christianitys most prized relicthe Holy Grailand harboring secrets capable of great destruction.KNIGHTFALL goes deep into the clandestine world of this legendary brotherhood of warrior monks. From their battles in the Holy Land, to their complex relationship with the King of France, to the betrayal that would ultimately lead to their tragic dissolution, the story of the Knights Templar has never been fully told until now. 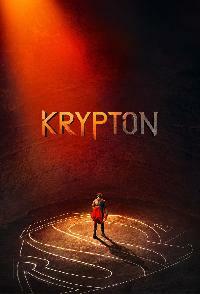 Krypton Set two generations before the destruction of Supermans home planet, Krypton follows Seg-El, the legendary Man of Steels grandfather whose House of El was ostracized and shamed. With Kryptons leadership in disarray, Seg-El encounters Earthly time-traveler Adam Strange who warns hes under the clock to save his beloved world from chaos. Fighting to redeem his familys honor and protect the ones he loves, Seg is also faced with a life and death conflict save his home planet or let it be destroyed in order to restore the fate of his future grandson.